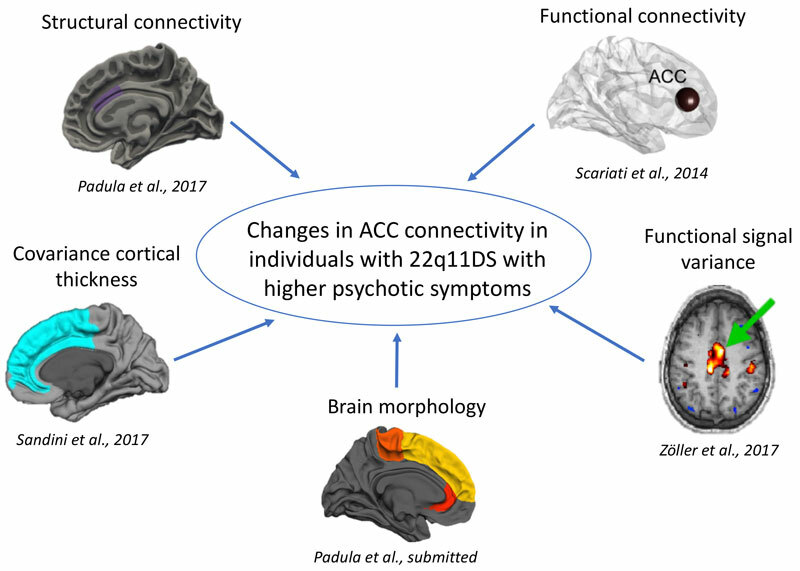 Furthermore, connectivity defects expressed by hyperactivity in the anterior cingulate cortex in 22q11DS patients with positive psychotic symptoms were also identified. The functional imaging results correlate with the EEG data collected by the team led by Christoph Michel, which were carried out on the same cohort. 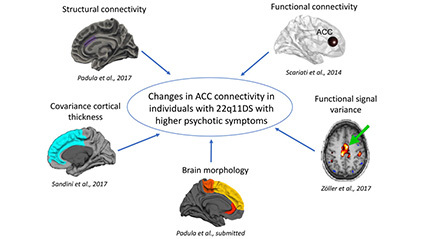 Finally – and remarkably – the fundamental work performed by Alan Carleton‘s and Pico Caroni‘s groups has demonstrated a dysfunction in the inhibitory neurons in 22q11 mice, which corroborates the hyper connectivity observed in humans by Padula’s research. It is clear, therefore, that they constitute the cellular mechanistic basis of schizophrenia.